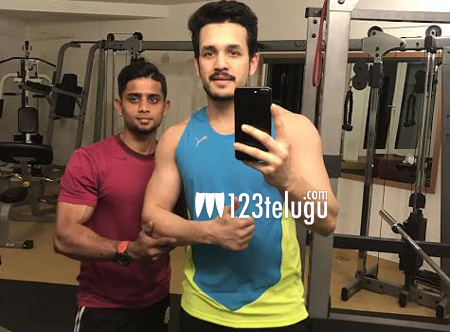 Handsome Akkineni lad Akhil is determined to score a solid hit with his second film in Manam helmer Vikram Kumar’s direction. For this purpose, Akhil is hitting the gym rigorously to sport a bulked up body. The Vikram Kumar-Akhil movie will be launched officially on the 14th of this month on the auspicious day of Sankranthi. This film will be produced by Annapurna Studios. Young starlet Megha Akash will be romancing Akhil in this movie.